Moral life gathers its shape, force and meaning in relation to an underlying sense of reality, imaginatively conceived. Significant contemporary writing in philosophy appeals to the concept of ’transcendence’ to explore what is deepest in our moral experience, but leaves this notion theologically unspecified. This book reflects on the appeal to transcendence in ethics with reference to the Resurrection of Jesus. Bachelard argues that the Resurrection reveals that the ultimate reality in which human life is held is gracious, forgiving and reconciling, a Goodness that is ’for us’. Faith in this testimony transforms the possibilities of moral life, both conceptually and in practice. It invites our participation in a goodness experienced non-dualistically as grace, and so profoundly affects the formation of the moral self, the practice of moral judgement and the shape of moral concepts. From this perspective, contemporary philosophical discussion about 'transcendence' in moral thought is cast in a new light, and debates about the continuity between theological and secular ethics gain a thoroughly new dimension. 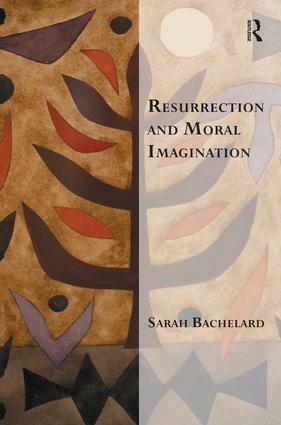 Bachelard demonstrates that placing the Resurrection at the heart of our ethical reflection resonates with the deepest currents of our lived moral experience and transfigures our approach to moral life and thought. "This is an excellent and very significant work. It makes important contributions to theological ethics, systematic theology’s understanding of the doctrine of the resurrection, and to the intersection theology and moral philosophy." -JOSHUA DAVIS, Birmingham, Alabama. Reverend Dr Sarah Bachelard is an Anglican priest and theologian based in Canberra, Australia. She is an Honorary Research Fellow at the Australian Catholic University, with special interests in philosophy, ethics and spirituality, and is the author of Experiencing God in a Time of Crisis (Convivium, 2012). She is the leader and founder of Benedictus Contemplative Church, an ecumenical worshipping community with a practice of silent meditation at its heart, and is a member of the World Community for Christian Meditation.